Start page of UBS e-banking. You can define yourself what is the most important information for you (e.g. information on your cards presented in table form) and you’ll be welcomed with it. If your requirements change over time you can choose other settings. Personalized notifications by e-mail or text messages to stay informed can be activated (and then changed at any time) when accessing ebanking UBS the first time. With these notifications full control over funds is what you get. E-bill (electronic bill) for managing bills with a click of your mouse. It is a paperless way to receive, check and pay bills directly in your UBS ebanking system. Personal financial assistant gives an ability to analyze spending by sorting into categories, to view how much of your budget is available to be spent, plan for future and more. An access to all UBS publications and a wide range of investment ideas based on analysts’ expertise to help you define possible ways to invest money effectively. Navigation in UBS ebanking is made so that you can get to the desired settings as fast as possible (Help, Security, Logout and other). T o start using UBS e-banking you need to go to ubs.com/online page. In the upper right corner there is a red button “UBS logins”, click it and choose UBS e-banking. 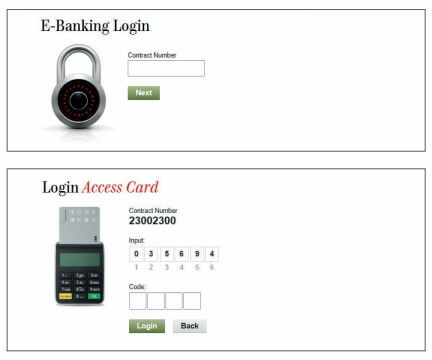 To log in you need to enter agreement number, PIN for your access card, access card or access card display and access key. The access key or access card display can be found at UBS support page. It is important to mention that in addition to video tutorials that are very useful to find out more about UBS online banking features, UBS e banking demo is available. Using this demo you can see how services look like. In this way all you need to access your financial activity online is UBS e banking login and internet connection. Log in now and start managing funds easy from wherever you are with UBS e-banking.